The directory enables you to be represented as part of the Texas workforce, and helps us know the scope of the industry and regions where productions take place. As one of the most-visited parts of our website, it is a free, public marketing service used daily by producers, filmmakers and industry professionals to search for crew and support services needed. If you are part of the Texas media industry, please list or update yourself in the directory. We are always searching for news of productions that take place in Texas, be they large or small, film or video game related, and our best way to hear about productions is through you. Whether it is listing in the directory, posting on our Job Hotline, or simply calling/emailing the TFC, you help keep us in the know of productions in Texas. When our information is more complete, we can more accurately share our industry’s scale and economic impact with the entire state. On August 13-14, we partnered with the Southwest Alternate Media Project (SWAMP) in Houston to conduct our first P.A. Workshop. The result: 44 newly-certified Production Assistants. From one attendee: “Thank you, Texas Film Commission and SWAMP for hosting this wonderful workshop. I'm so thankful to have attended, and to have the chance to learn about the film climate in Texas from industry professionals!” We plan to continue these courses throughout Texas in the future. Our Animation & Video Game Liaison, Jo Lammert, is taking part in multiple events with the Texas video game/animation community. This past weekend, Jo attended the Industry Giants conference in Dallas, one of the largest events of its kind in the southern U.S. On September 21, she will participate at the Austin Game Conference and speak to what the game development community can do to continue to strengthen Texas’ game development ecosystem. The Film Friendly Texas (FFTX) program reached the momentous benchmark of having certified 100 Film Friendly communities statewide by awarding Graham, Texas the 100th spot on August 31! 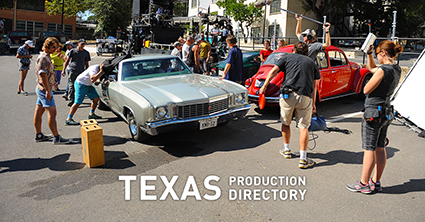 Over the years, notable and iconic Made-in-Texas projects such as Boyhood, "Friday Night Lights" (TV Series), True Grit, The Tree of Life, and The Great Debaters (among many more) have successfully utilized the filming locations and hospitality of our statewide Film Friendly certified communities. In return, these film and TV projects have created substantial economic impact and community development opportunities for said communities through the direct and indirect spending that takes place leading up to and during the course of on-location filming. Tyler, Texas became the 101st FFTX community on September 9. Waco is the next Texas community to become certified. To see a full list of our Film Friendly communities, visit www.filmfriendlytexas.com. List yourself in the directory. Find Texas Organizations and Unions that support you. Seeking carpenters, painters, and plasterers. Seeking male voice actors with convincing German accent. Seeking majority of crew positions and production interns. Seeking production interns and volunteers for various positions. The Texas Film Commission is your first stop for resources that serve the film, television, commercial, animation, visual effects and video game industries of Texas. 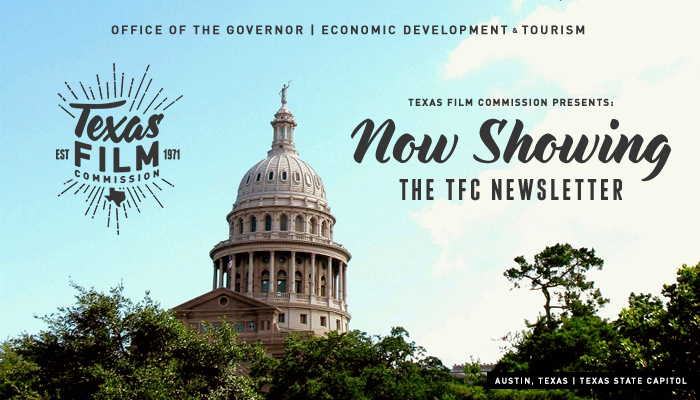 Serving the public since 1971, the Texas Film Commission supports our state’s global position as a premier production destination across all media industries.